Rogelio Vizcaino looks for a spot to sign the beam. 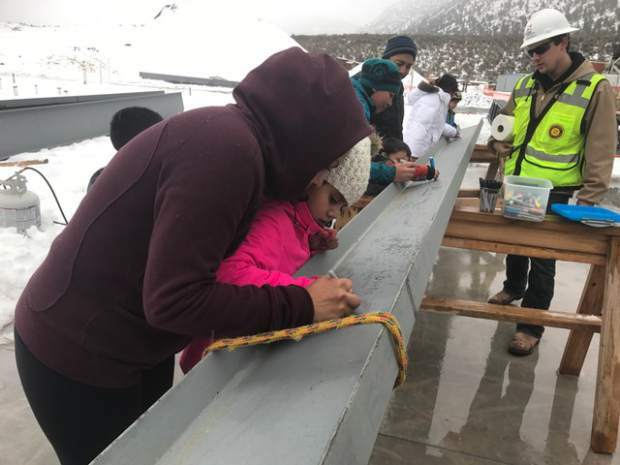 Multiple people, including would-be future students, showed up despite the cold and wet weather to sign the beam during a topping out ceremony last Thursday on location at the new Riverview School south of Glenwood Springs. Arianna Hernandez, Cami Vizcaino, Herica Martinez and Veronica Geronimo take turns signing the beam during Thursday's topping out ceremony for the new Riverview School. 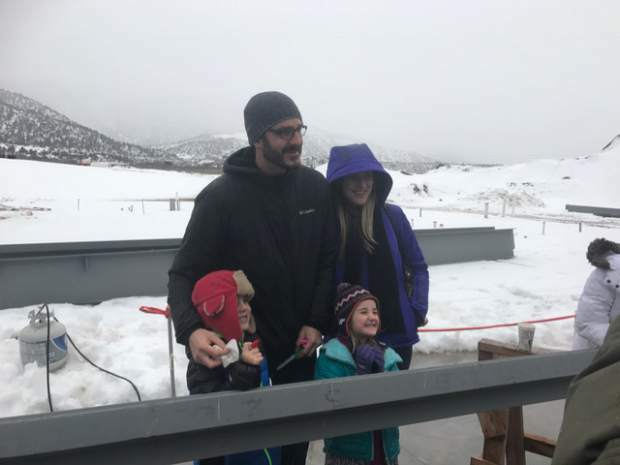 Riverview School Principal Adam Volek, along with family members Lisa, August and Lyda Volek, sign the beam during Thursday's topping out ceremony. 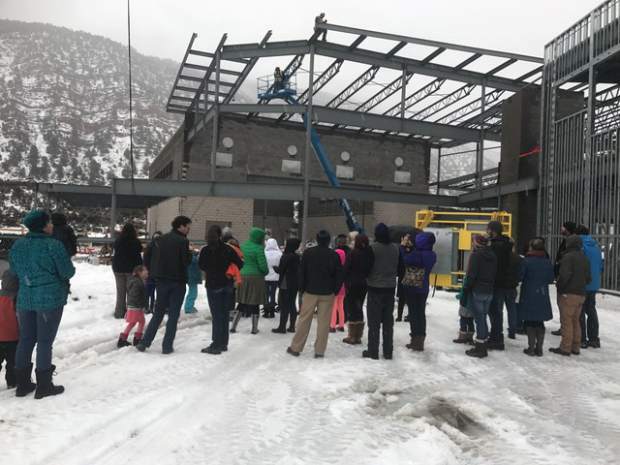 A gathering of people watch as the last beam is lifted into place during Thursday's topping out ceremony on location of the new Riverview school south of Glenwood Springs. 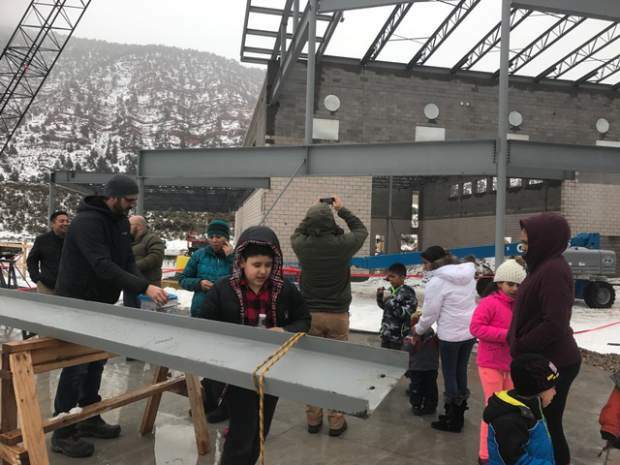 Roaring Fork School District officials and a select group of future students of the new Riverview School south of Glenwood Springs officially helped “top out” the ongoing construction project last week. As they did with the new Glenwood Springs Elementary School building and renovation project before the holiday break, contractors and school district representatives took the opportunity to mark a significant milestone in the Riverview School’s construction. “Topping out” is a builders’ rite of Scandinavian origin signifying the stage of a building project when the last beam is placed on top, thus completing the basic shell of a new structure. 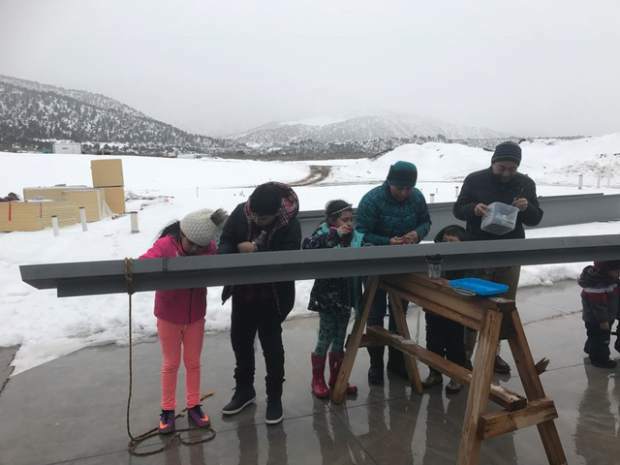 Student representatives and their parents took part in an official “signing” of the last beam before it was raised into place. 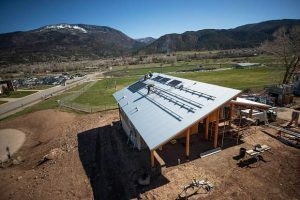 The new, $34.5 million school being built on the district’s Eastbank property south of Glenwood Springs will serve pre-kindergarten through eighth grade students, and is on track for completion to start the 2017-18 school year. 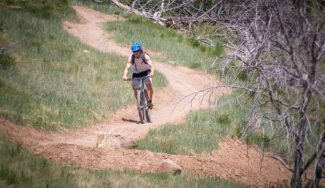 The school will have a dual-language, project-based learning approach and will serve a newly established attendance area along the Colorado 82 corridor south of Glenwood, as well as being open as a school of choice for other RFSD families to consider. 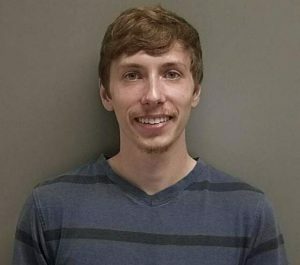 Meanwhile, the district school board was advised by project officials this past week that the Riverview School is coming in on budget overall, and is on track to come in under budget for actual construction. 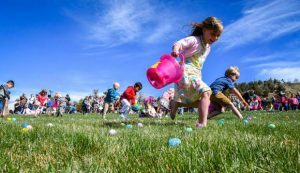 “At this point, we will likely be over budget on off-site costs and under budget on facility costs by about the same amount,” said Shannon Pelland, chief financial officer for the school district. Off-site costs include the road to the school site, as well as the cost to bring utilities, including water and sewer, to the site. 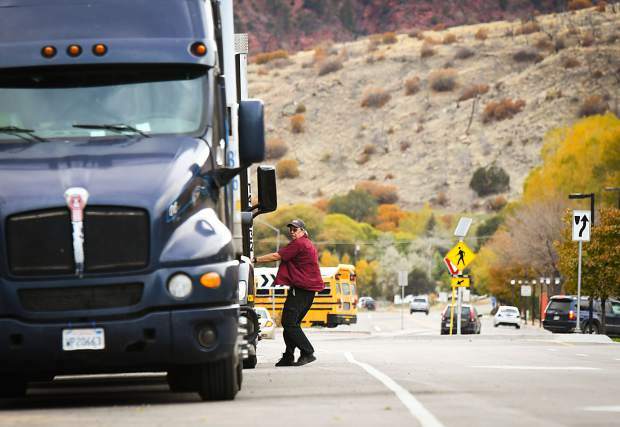 “Our hope is to recover some of those costs as other development occurs in the area,” Pelland said.